The ConMatic IPC is a fully-automated, incremental pressure controller for performing incremental consolidation and one-dimensional swell tests. The ConMatic IPC allows consolidation, constant load and volume swell tests to be run automatically, freeing up technicians for other tasks and reducing the duration of the testing procedures by more than half  effectively saving time and manpower and increasing lab profitability. 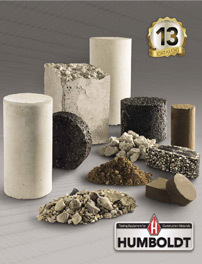 One ConMatic automated system can replace the production of several manual machines  running incremental consolidation tests according to ASTM D2435 Method B, where successive load increments are applied after 100% primary consolidation. Humboldt’s touch screen controller provides you with full, graphical monitoring of all testing functions in a stand-alone application, while maintaining full computer control when desired. Now you can have full, finger-tip control and monitoring of all testing functions with Humboldt’s touch-screen controller, found on the ConMatic IPC automated consolidation system. This seven-inch, waterproof screen provides at-a-glance monitoring of testing functions, in a real-time graphical display, without the use of a computer, building upon Humboldt’s dedication to modular, stand-alone data acquisition. 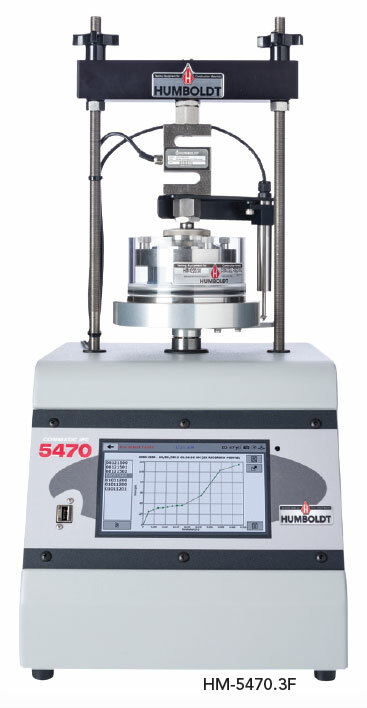 Humboldt’s Elite Series Next software and the enhanced Consolidation module is included with the ConMatic IPC automated consolidation machine. 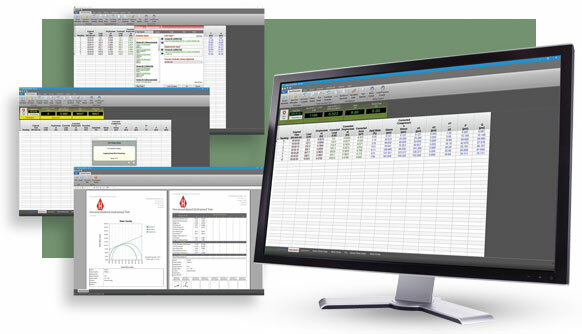 This software provides robust machine control, calibration, data acquisition and report generation for those using a computer to control consolidation testing operations. No operator assistance required during tests. Once a sample has been placed onto the test platform and the test conditions set, the ConMatic IPC performs all consolidation tests, including moving to the next stress level, without operator assistance. The system automatically moves through the different test parameters specified by the user with incremental consolidation tests typically being completed in 24 to 48 hours. 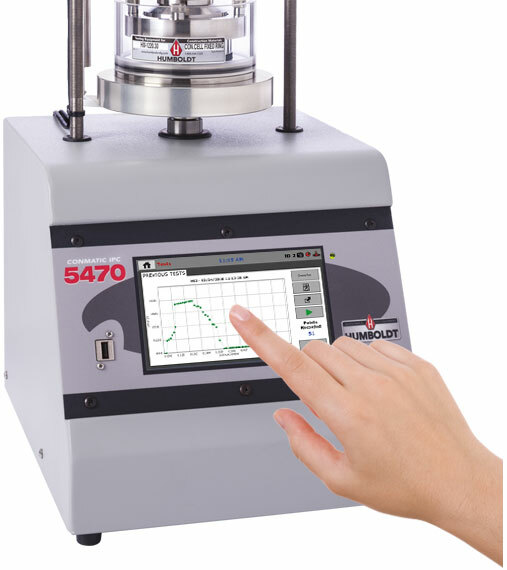 The NEXT software uses sample deformation readings taken from the displacement transducer and load readings from the load cell to maintain a constant applied stress or strain to the sample through the use of an accurate stepper motor. Test results are recorded and rendered in real-time on the computer screen while test data is stored and calculations are performed automatically. The unique design of the ConMatic IPC system enables the user to connect multiple ConMatic IPC units to a single computer and run them independently and simultaneously. 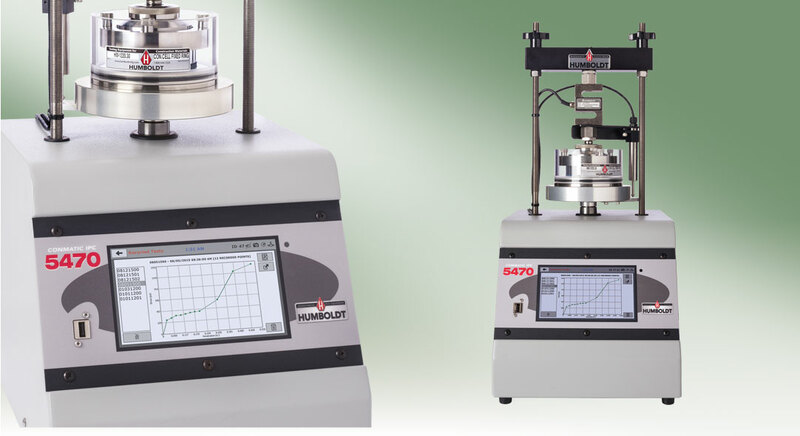 Humboldt’s Elite Series Automated Consolidation machines free up your technicians.